Breve introduzione al partenariato, una formula commerciale a rete ancora poco nota in Italia, ma che ha preso piede in diversi paesi europei. Soprattutto in Francia. Articolo in collaborazione con il Dott. Mirco Comparini e Iref Italia. Il mondo delle reti commerciali è in continua evoluzione, sia in Italia, sia all’estero, in una costante ricerca di adattamento a formule innovative, efficaci e snelle che consentano uno sviluppo, ma anche una stabilità, nei sempre più difficili e turbolenti mercati. In altri paesi, tale concetto è stato appreso da tempo e le reti commerciali sono riuscite a creare forme di distribuzione adattate alle esigenze degli operatori professionali desiderosi di confrontare le loro conoscenze e le loro esperienze con altri. Tra queste c’è anche il partenariato, che in Italia ancora pochi conoscono. Alcuni aspetti del partenariato sono riconducibili e presenti in altre formule, come il franchising, ma questa formula è dotata anche di caratteristiche proprie che in alcuni paesi europei, la Francia prima di tutto, le stanno attribuendo un buon successo. Questa è la conseguenza di un fondamentale equivoco che, nel tempo, è stato trasferito nel nostro paese parlando della legge francese (Loi Dubin) come “normativa sul franchising” per quella nazione. Al contrario, la Loi Dubin, non si applica solo al franchising, ma riguarda l’insieme delle reti del commercio organizzato. Senza poter entrare nei dettagli, la legge francese non cita mai, contrariamente alla nostra normativa, il know how. Infatti, l’elemento più importante che differenzia il partenariato rispetto al franchising è il fatto che prevede la rimozione dell’obbligo di presenza e di trasferimento del know how, che nella legge italiana è invece uno dei requisiti normativi essenziali per poter essere in presenza di rapporto di franchising, ma anche uno dei requisiti normativi più difficilmente definibili del rapporto stesso. Nei prossimi articoli, analizzeremo meglio il paternariato e le maggiori differenze col franchising. Subway Restaurants has been taking part in a lot of green initiatives lately – such as switching out thousands of incandescent bulbs for energy efficient ones. But the biggest thing they’re doing is building new restaurants according to the US Green Building Council Guidelines in an effort to receive LEED Certification. Their first Eco Store in Kissimmee, Florida received a Silver Certification this week, by reducing its energy usage, water consumption, and waste production through more efficient equipment, and using more responsible practices. It’s estimated that the Subway Eco Store uses about 20% less energy than a standard Subway store would in a similar location. Look forward to two new Subway Eco Stores opening this week in North Carolina and Louisiana. via Subway Eco-Store Receives Silver LEED Certification – Greener Ideal. As part of its continuing strategy to develop more combined Toys R Us and Babies R Us stores, Toys R Us Inc. said it is incorporating environmental features in 44 new and remodeled locations. 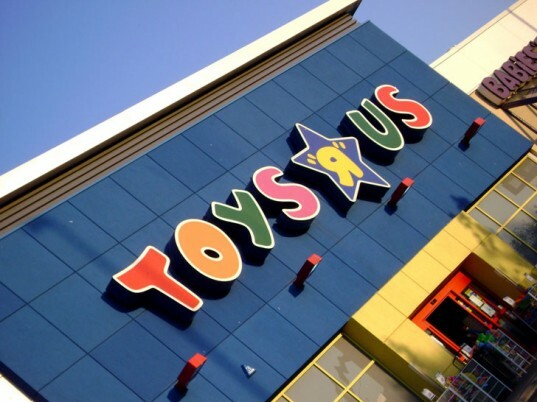 By the end of the year the company will have have 21 new stores, including 11 R Superstores and 10 Side-by-Side locations as part of the initiative to bring Toys R Us and Babies R Us together under one roof in an integrated store format. As part of it portfolio upgrade, Toys R Us is also remodeling 23 existing locations to the Side-by-Side format. A state-of-the-art Energy Management System (EMS) that monitors environmental conditions and adjusts temperature, lighting and CO2 levels throughout the store to utilize natural light and reduce energy consumption. A custom daylight harvesting system, which includes a number of design components such as skylights, dimmable fixtures and lighting sensors that reduce up to 50 percent of electric lighting energy used during the day. Energy efficient Light Emitting Diode (LED) fixtures in outdoor signage instead of florescent signage, which increase energy savings and reduce toxic materials and maintenance costs. Low-flow toilets and urinals, and automatic faucets and flush valves, which conserve water. High efficiency automatic hand dryers that use 80 percent less energy than standard hand dryers while eliminating the need for paper towel products. A cardboard baler that facilitates recycling and reduces the impact on landfills. Low Volatile Organic Compound (VOC) paint and floor adhesive are used during construction because they produce little odor during application and no lingering odor once cured. A vestibule entryway system that reduces the amount of outside contaminants tracked into the store, while helping to improve indoor air quality. White reflective roofs that significantly reduce the amount of heat absorbed, reducing the building’s cooling needs. 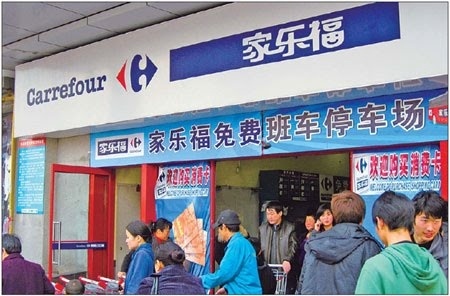 China Certification & Inspection Group has reportedly issued the Green Market Certification to Carrefour’s six stores in Beijing, making the French supermarket one of the first retailers to gain the certification in the Beijing region. Liu Shengming, chairman of CCIC, told local media that the Green Market Certification has been fully launched in the retail sector of Beijing. 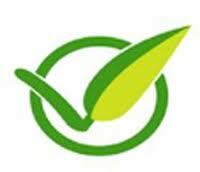 Green Market Certification is a national certification system co-developed by the Ministry of Commerce together with the Certification & Accreditation Administration of China. Organizations that have obtained the Green Market Certification are allowed to use the uniform certification board. The Green Market Certification logo can be used in their marketing materials or other relevant information. Luc Vandevelde, chairman of the Supervisory Board of Carrefour, has revealed the plan for Carrefour’s first green shopping center, where rainwater and energy can be recycled. Compared with a regular architecture, the green shopping center can save up to 30% in water and energy. In addition, it will use efficient materials to reduce the consumption of resources. Low-carbon products: when there will be a mass mass-market demand for them? As stated in the last CBI report about UK consumers and low-carbon products, three quarters of the UK’s greenhouse gas emissions either directly or indirectly attributable to consumer actions. Companies are taking action to drive up standards and setting up pilot initiatives for green products. Energy efficiency and carbon labels and descriptions currently adorn many of our shopping shelves, increasing transparency. But many consumers do remain skeptical about sustainability being a MUST for our future. The report shows that there is no trade-off between sustainability and profitability but, as we are always stressing in our ECOFFEE communication projects,”(Many business leaders acknowledge that) it is not sufficient to operate in a sustainable way – they also have a responsibility to inform consumers about green choices”. Business cannot boost demand for low-carbon products without the appropriate communication. Let’s take for instance Procter & Gamble’s successful Turn to 30 campaign with Ariel linked the financial benefits to consumers of washing at lower temperatures with the positive environmental impact. This campaign successfully create a link between a product, a consumer personal behaviour and the resulting more sustainable impact on environment. Once a company has created a demand for its green products, gains arrive very fast. footprint of its products to help consumers understand the impact of their purchasing decisions. And it worked great. Now the question is: why there is not such a mass-market demand for green products? It seems that there is a missing link between the consumer and the environmental impact of purchasing a green product versus a not-so green one. When asked about the top three or four factors shaping their choice of purchase, UK consumers top rated one is cost to buy, followed by quality and reliability and brand. The environmental impact is ranked 10 (8%). It seems that there is a disconnection between consumers and the environmental impact of their choices, especially when carbon emissions are concerned. Nearly half (48%) of survey respondents could see the link between low-carbon and helping to tackle climate change, whereas less than a third (30%) identified the link between climate change and energy efficiency. Labelling plays an important role in raising consumers’ awareness and A-G labelling has been a particular success, being well recognised among those aged between 35-64 (76%) and those earning over £25,000 a year (83%). It is no coincidence that products where the energy efficiency story is most developed for consumers tend to be those where the A-G label is displayed, such as fridges. To answer to the question “When there will be a mass-market demand for green products?”, it all relies on clear communication and on educating consumers about the impact of their shopping and daily habits on the environment. Fairmont Hotels & Resorts is expanding its green commitments through a new sustainable design policy. In addition to promoting the use of recognized green building certification systems such as LEED, the policy includes new environmental criteria and checklists for renovation and retrofit projects, environmental consultation during the design brief and construction process, and the creation of a green-build best practices repository for use by Fairmont’s hotels, engineers, developers, project leads, and architects. 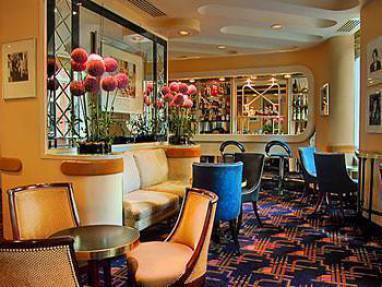 The program has been implemented at two Fairmont hotels. Fairmont Pittsburgh, the brand’s first LEED-certified hotel, incorporates energy efficient lighting and appliances; enzyme waste systems; furnishings and other guestroom amenities made from recycled, organic, or sustainable material; and the use of paints, adhesives, sealants, carpets, and fabrics with no or low emissions. Meanwhile, the Savoy in London (pictured) has a waste management system, as well as a heat and power plant that reduces the hotel’s reliance on the national grid by approximately 50 percent. On March 18, 2011 illycaffè became the world’s first company to receive a Det Norske Veritas (DNV) Responsible Supply Chain Process certification, attesting to the company’s long-running sustainable approach to production and its relations with stakeholders throughout the production chain, particularly with green coffee suppliers. The illycaffè model is innovative in assigning critical roles to quality and value creation. The certification was officially conferred at illycaffè’s twentieth annual meeting in Brazil, recognizing suppliers for coffee production meeting the company’s industry-leading quality standards. DNV, an international, independent leader in product and process certification, in part modeled its new certification standard on the illycaffè supply chain model, buttressing it with current and emerging stringent guidelines for sustainability and corporate responsibility, and with standards of reference for certification and accreditation activities. The certification incorporates both pan-industry standards and industry specific standards. Officially, illycaffè received the DNV Green Coffee Responsible Supply Chain Process certification. The standard developed by DNV is innovative because it marks the passage from the certification of an organization’s supply chain to the certification of an organization’s ability to create value that benefits everyone involved. Quality and sustainability are for illycaffè inseparable: a truly excellent product cannot be anything but sustainable in three critical aspects: economic, social and environmental. Economic sustainability is achieved through the creation of value for all those involved, from the grower to the final consumer. Social sustainability rests on the concepts of individual growth and self-realization. Environmental sustainability means respect for the ecosystem, through, for example, the use of recyclable shipping and packaging materials and the application of non-polluting practices. Two days ago a couple of ECOFFEE‘s team members attended an interesting meeting regarding the Retail landscape in Italy, with a special focus on the sunglasses and eyeglasses sector. When the “Any question?” moment arrived, we asked to the speaker “What about sustainability in the Retail business?”. The answer was a HUGE “?”, followed by a: “Maybe in 2015”. This answer made us smile, because it was the usual answer of those professionals in the Retail field who pretend that a trend does not exist until the trend has changed into an issue to be solved. No more than two weeks ago, Andrea Illy, Chairman and CEO of illycaffè S.p.A, expressed his point of view about sustainability in a very interesting post published by Fastcompany. Here’s a couple of key sentences. “I’m taking about a broader notion of sustainability that includes social and economic equity right alongside environmental responsibility, serving a triple bottom line. (….) The key is acting early–acting now–before the confidence of consumers, investors and other stakeholders is irreparably damaged. The best rescue of sustainability’s meaning and power is one that is never made….Consequently, a genuinely holistic approach to sustainability is required: one that creates value throughout the entire supply chain. And in order to do that we must focus on raising quality. (…) By perpetually seeking higher quality, a cycle goes into motion, creating sustainable value for every player. The result is long-term viability in lockstep with ever-increasing quality in the cup. (…) Broader adoption and smart marketing of a powerful certification symbol (….) will create widespread understanding of what sustainable agriculture means, and place the power to demand genuinely responsible production squarely where it belongs: in the consumer’s hands.” We obviously share Andrea Illy’s point of view, and we wish that knowing his opinion about sustainability, all the skeptical retail professional will make up their minds.